YAM has direct support for many different languages, plus support to easily write support for more if you find a language that is currently not supported. 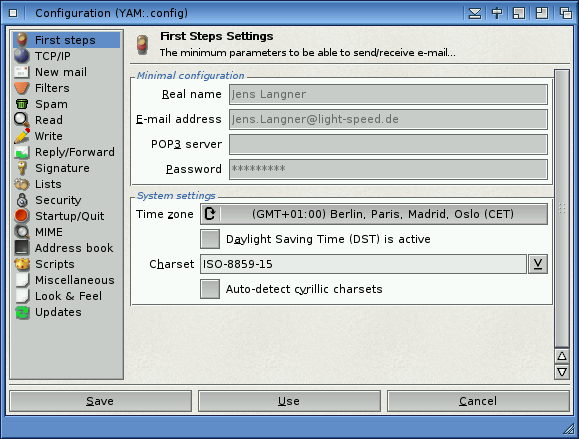 YAM (short for Yet Another Mailer) is a MIME-compliant Internet mailer written for AmigaOS based computers. It supports multi-POP3, APOP, SMTP, TLSv1/SSLv3, multiple users, PGP, unlimited hierarchical folders, filters, a configurable GUI (based on MUI) and an ARexx interface and many other features which are common for Mail User Agents - MUA today. 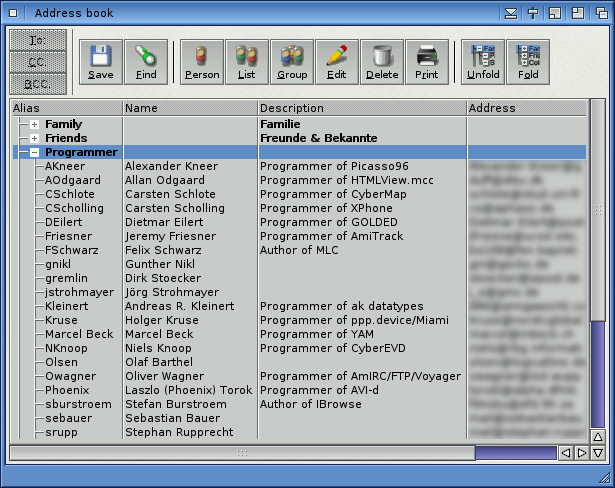 Back in 1995, Marcel Beck started the initial development of YAM and released the first version to public Amiga users. 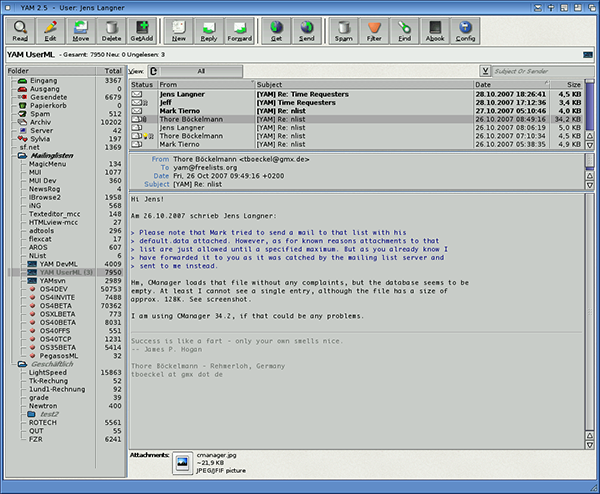 While this first version (v1) was still very limited in its features the successor version (v2) introduced much more advanced features so that the 2.2 version was then also rated as the best Email client for Amiga computers back in 1998. This was probably also because YAM has been a freeware product right from the start, allowing Amiga users to travel into the great world of emails with a product they not have to spent money on. 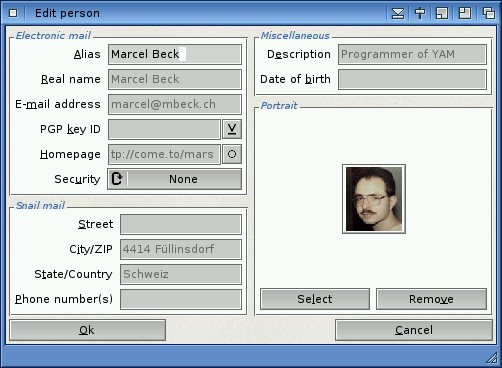 Then in late 2000 Marcel left the Amiga development but luckily decided to release the source code of YAM under the GPL open source license. 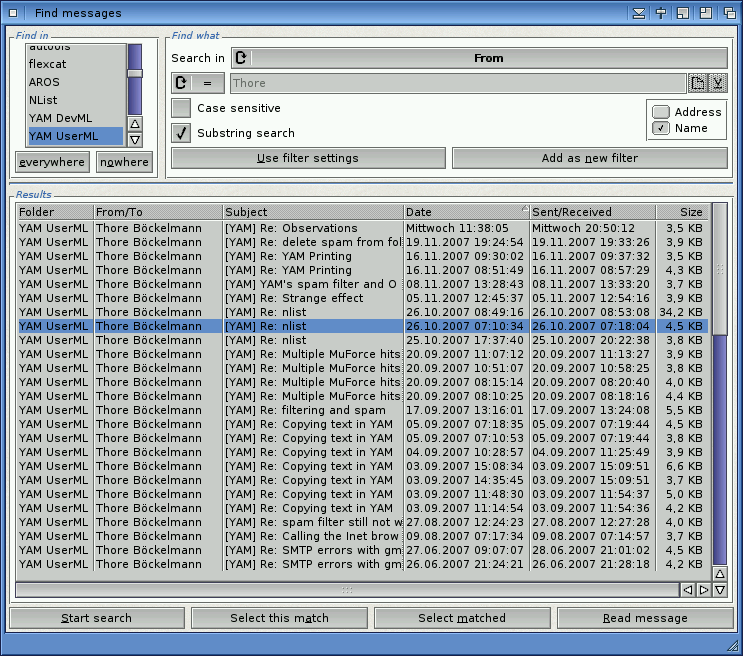 This allowed to find a group of developers working on the further development of this unique email client for Amiga computers. Already one year later the open-source developer crew released the 2.3 version showing the Amiga community that the development of YAM hasn't stopped at all. 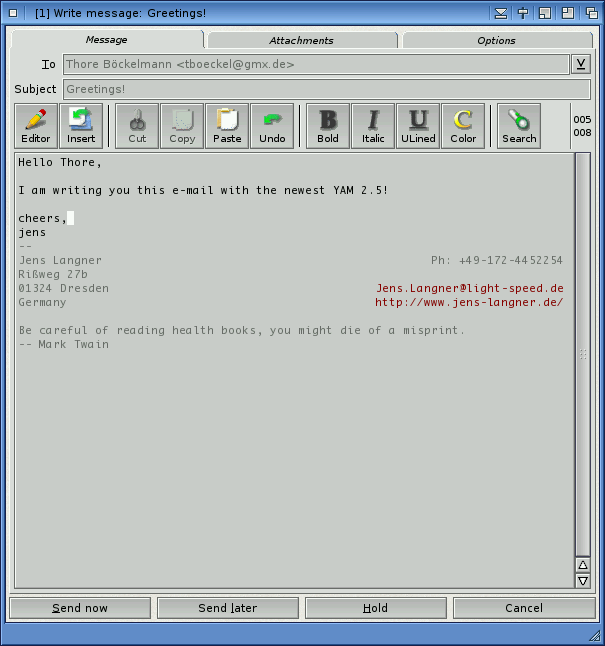 And now, after even more years the development of YAM has advanced some more and is now aiming to bring up YAM to a level where it is compareable to other mail clients like Thunderbird.